Ready to take a load off? Sit back, relax and unwind? 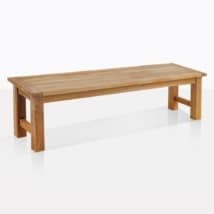 We are thrilled to present to you our incredible collection of Dining Benches. 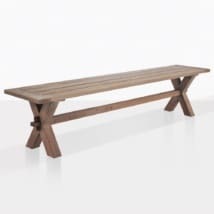 Our Dining Benches are special, 100% all weather outdoor products, chic, versatile and a range of different styles, materials and sizes all available now and ready to transform your dining area! 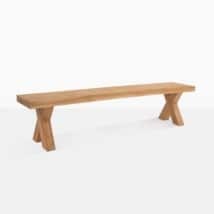 Benches are the ultimate choice for flexibility when hosting guests, they allow you to pack more in comfortably around your dining table, while not looking cramped! We started with amazing A Grade Teak and have added more to the collection with the integration of recycled wood, concrete, stainless steel and aluminum. Then we designed different styles so that all our customers will walk away with something that is individual and unique to them. 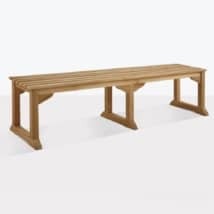 From contemporary to classic, we have you covered with our amazing range of outdoor Dining Benches. 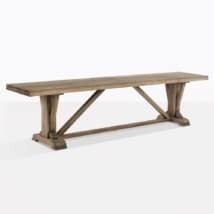 Keep it resplendent and rustic by pairing up a Reclaimed Teak Trestle Table with matching Reclaimed Teak Benches on either side – the look is cool, calm and cohesive. 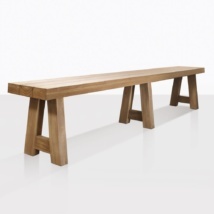 Perhaps your modern dining table is calling for a bench to add to its fresh, stylish feel? 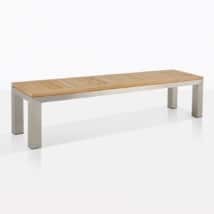 The solution is the marvelous Edition Aluminum and Teak Bench! 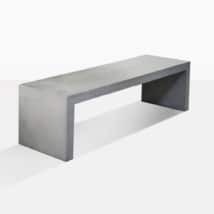 Creating a great clean, sleek look at either end of your outdoor table, the Edition Bench is a sophisticated choice. 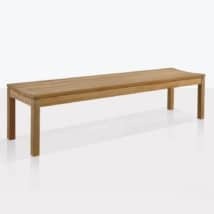 Try this one for size indoors as well as out, as its attractive, minimalist look as our customers using it in a whole manner of spaces! 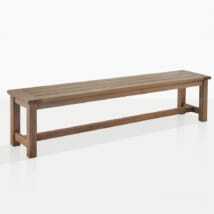 Perhaps your classic teak table is in need of a classic bench to polish off the look? Nothing like the combination of the Capri Extension Tables with the curved Toscana Benches for a sturdy, stylish look for your patio! 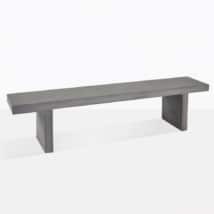 The Toscana Benches have been a favorite since they arrived many moons ago. 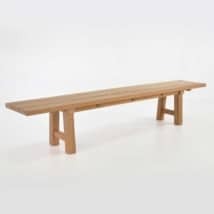 Sleek panels of wood, curved to ergonomically support you as you sit down for a long lunch or languid dinner! 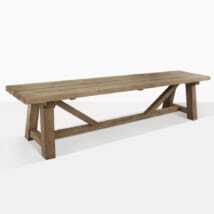 Teak Warehouse has been in operation for years and years, we are proud to bring you the widest range of high quality outdoor furniture. Call us today to discuss what options will work best for you, or just come and see for yourself! Our sales assistants are ready to help you find the garden furniture of your dreams!